A University-wide interdisciplinary group of distinguished scholars improving methodological research and education in the study of populations and societies. This is an interdisciplinary community of faculty and students interested in methodological research in relation to applications in social, behavioral, and health sciences. 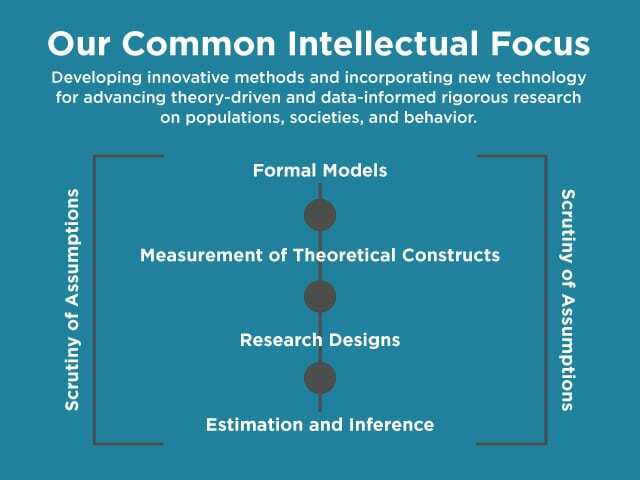 Our goals are to create an intellectual niche, exchange research ideas, facilitate research collaborations, share teaching resources, enhance the training of students, and generate a collective impact on the University of Chicago campus and beyond.